I've been trying to whip up some new fresh faces for you trying to use a little more color here and there than my average neutral routine. I call today's look Purple Smoke. Check it out! 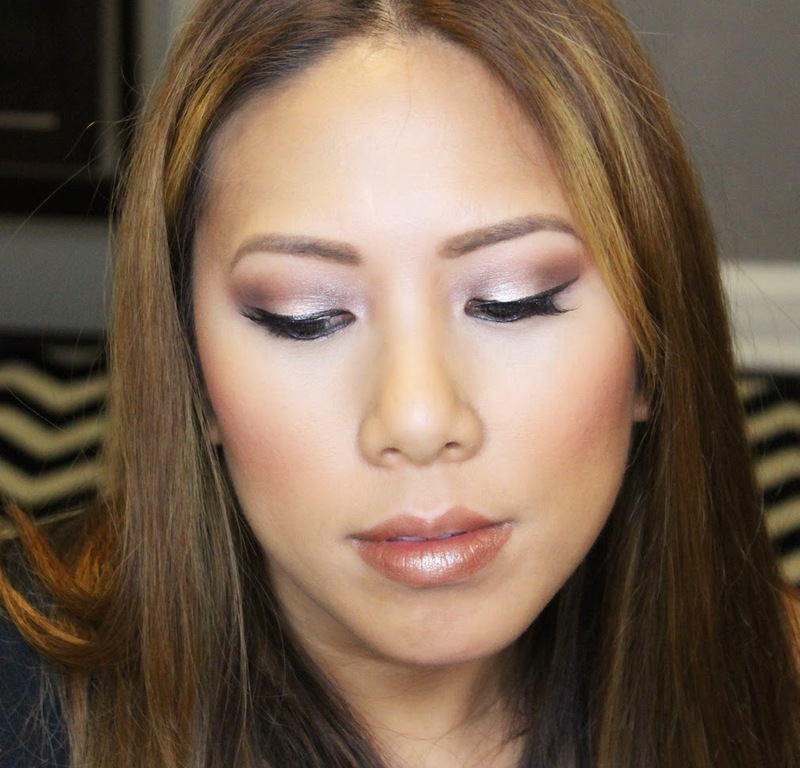 I started with some shimmer on the lid using another Makeup Geek Foiled Eyeshadow in Grandstand. 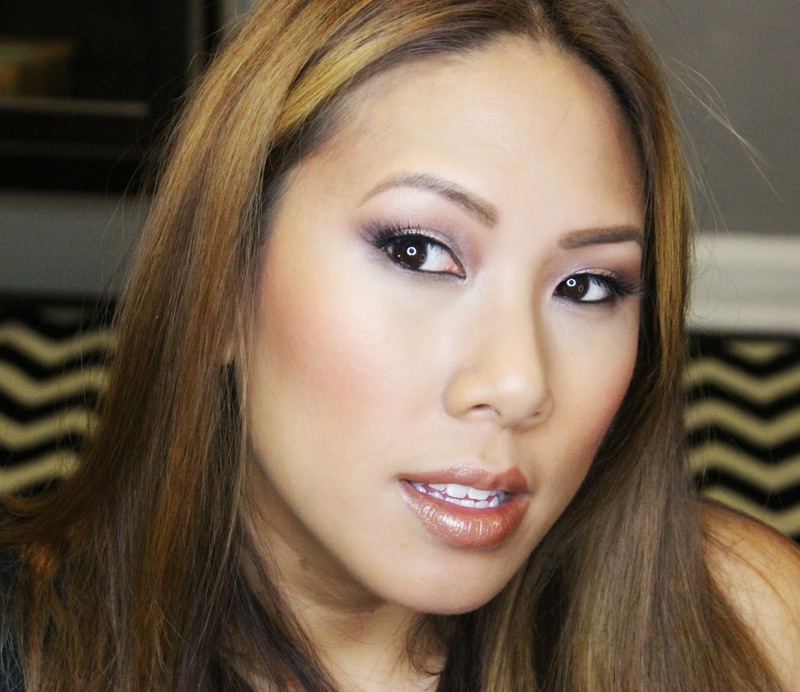 I contoured the inner and outer corner of the eye using a purple from the regular makeup geek line. 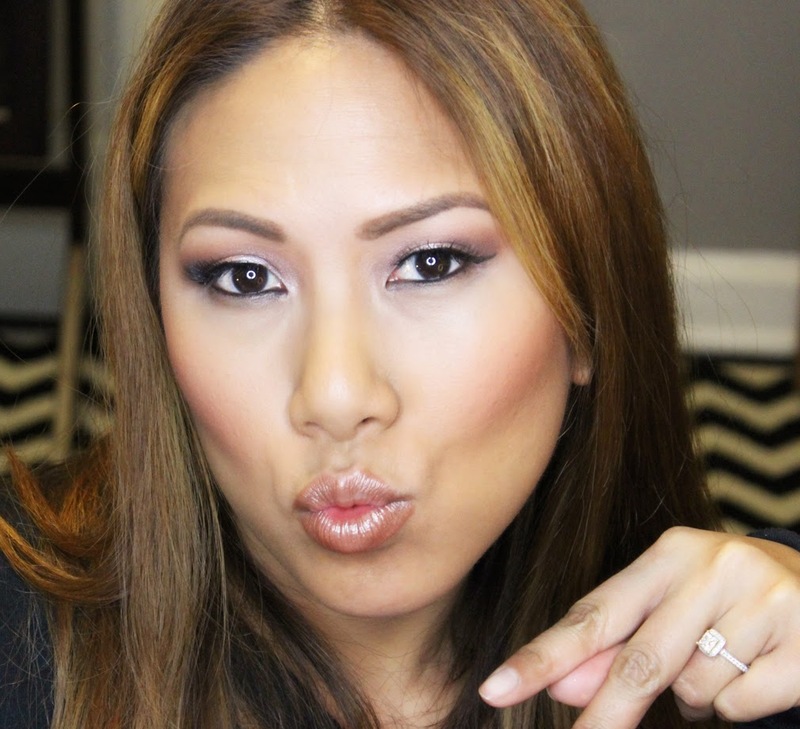 On my skin, I used CoverFX Custom Cover Drops in G70 mixed with CoverFX's anti-aging serum. On the lips I'm rocking Revlon Lip Butter in Brown Sugar. The metallic finish coordinates nicely with the eyes. It's fun to mix with different finishes, in this case metallic really pops on the eyes and lips. Hope you all enjoyed. Till next time, Ciao Bellas!